When I think of a combination of a great athlete and a great human being, I can usually count the ones that I have encountered in my life time on one hand. For example; I could name someone who is a great athlete but a lousy human being or I could name someone who is a great human being but not a great athlete. My choice would always be the great human being every time. I have been fortunate during my career as a youth advocate (50 years) and a pioneering sports talk show radio personality (45 years) to meet several great athletes/great human beings. Heading the list is Muhammad Ali (The Greatest), Red Auerbach (NBA), Dave Bing (NBA), Lenny Moore (NFL), Bert R. Sugar (Boxing), Lee Jones (NBA), Roy Jefferson (NFL) and Harold McLinton (NFL), finding pro athletes like them today are far, few and in-between. And that is a sad commentary when you think about the hundreds of men and women I have interviewed on Inside Sports and worked with as a youth advocate (Kids In Trouble). Its possible, I set my standards too high–honesty and integrity were the only requirements. 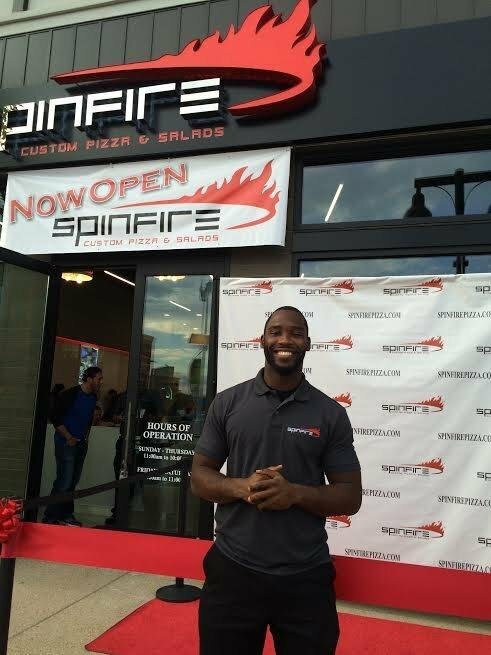 I had the opportunity to hear an interview on Sirius XM Radio (channel 126) on the Maggie Linton Show recently, her guest was NFL Washington Pro football player, wide receiver Peirre Garcon. I have not been very impressed with today’s pro athletes and their give back commitment to their family, friends and community. My problem, is how can you forget those who knew you when you had absolutely nothing? Peirre was a breath of fresh air. He has not forgotten who he is and where he came from. He is the proud son of immigrant parents who hail from the island of Haiti. He has three older sisters making him the youngest and the only one born in the United States. His father died when he was 4 years old leaving his mother to raise him and his 3 sisters alone. My background is similar to Peirre’s, my mother had to raise 4 boys alone with an assist from Grandma Bell. I remember my father as a Deadbeat Dad from birth, he was never there for us. Peirre’s mom was their Rock as our mom was our Rock! When I speak to young people I remind them that my heroes were not black athletes, my heroes could not shoot a jump shot, hit a baseball out of the stadium, or kick a 60 yard field goal, my heroes were black women. A similarity that Peirre shares. 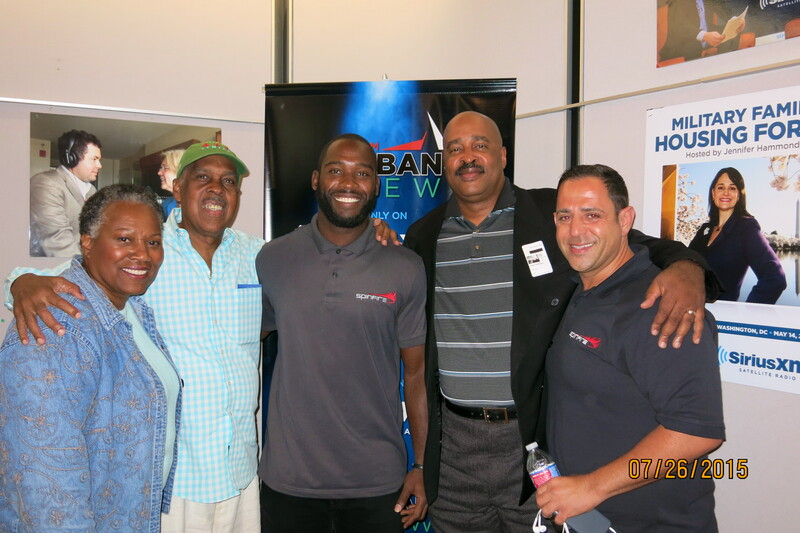 (Pictured from left to right: Maggie Linton, Harold Bell, Pierre Garçon, Gary Johnson and Fouad Qreitem at the Sirius/XM studio). To read the rest of the Harold Bell’s article click here now. Hey Buddy!, I found this information for you: "THE TALE OF TWO RECEIVERS: ONE GOING DEEP AND THE OTHER RUNNING FOR DAYLIGHT IN THE GAME CALLED LIFE! By Harold Bell!". Here is the website link: https://blackmeninamerica.com/the-tale-of-two-receivers-one-going-deep-and-the-other-running-for-daylight-in-the-game-called-life-by-harold-bell/. Thank you.